You are not logged in. Log In | Register PG Music Home » Forums » General Discussion » User Showcase » New song: "Dare To Dream The Impossible"
#199682 - 03/31/13 03:20 AM [User Showcase] New song: "Dare To Dream The Impossible"
Here's a song that I've just this minute decided that it's time to finish tweaking it and to get it posted. Also, if anyone is interested, I notated the song and a pdf version of the leadsheet can be found at the following link. The leadsheet was created using MuseScore and, in case someone finds it useful, on the MuseScore website I've created a synchronized link between the Youtube video and the leadsheet. This is the first time I've used MuseScore for any substantial notating and I have to say it's brilliant! It's very intuitive and easy to understand once you start working with it. It's hard to believe that it's open-source and completely free. My work flow for this song was: (a) write it in BIAB; (b) investigate lots of different tracks in RB; (c) mix it in Reaper. The Hammond organs solo at the end of the first chorus was generated by a BIAB midi Soloist and a B3 sound from Dimension Pro was used. Lastly, I fine tuned the lead vocal in Reaper, saved it and sent it to Realband where I used TC Helicon to create 1-up and 1-down harmony. I then loaded the harmony tracks into Reaper for the final mixing. Please feel free to comment on any aspect of the song in any way whatsoever. I value the additional insight. © 2013 Noel Adams. Words and Music. All rights reserved. Aren't they dreams come true? Very nice, Noel. Love that B3. I agree. It's hard not to like that Hammond sound. The old B3 sure is a classic instrument. Below is one of my favorite B3 clips - Ethel Smith in the 1940s. She was a very skilful woman! For me, the B3 sound was only half the equation. Gotta have a Leslie! I saw a guy using one for lead guitar once, and it was incredible. Yep, that's true. The sound was definitely a partnership in technology. Interesting song, in my humble opinion I feel the drums intrude and distract from an otherwise excellent song. I had a Hammond, not B3 I forget the model number, and a Leslie in my house for a year as I was looking after it as the owner was hiding stuff in his divorce!!! I played "Whiter shade of Pale" to death on it. I can still hear the hum Lovely sound. Thanks for having a listen. I appreciate it. I also appreciate your feedback about the drums. I'll go back and have another listen from a more critical perspective. I find that my ears become 'numb' to sound after a while. That's why I appreciate the insight that others can give. Thanks for that. White Shade Of Pale is a perfect fit for organ. One of the best! It's a great song. "White Shade Of Pale is a perfect fit for organ. One of the best! It's a great song." Good one to sing as well. We've been doing it for years. I remember seeing PH live way back when. Gary Brooker was amazing. 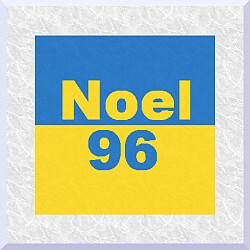 Noel, sounds great. Song and video. Enjoyed it a lot. Like the punchy drums. Don't change them. I wonder how clear your leadsheet is. What an uplifting and inspiring song/video. I like the drums. Always love a B3 sound and yeah adding the Leslie in just the right spots raises the goosebumps. Glad you liked it! Now all I need to do is to learn to make videos as good as yours. You work is top notch! I totally agree with everything Pat Marr wrote in your thread. Thank you for having a watch and a listen. I appreciate your comments. Since I'd written my song (complete with notation) in BIAB, I simply opened the MGU file directly into MuseScore. (MuseScore did not read the lyrics, though.) This compatibility with BIAB files is one of the strengths of MuseScore. It is only developmental yet, though. Once loaded, about 95% of the score was correct. As shown by the image below, some bars were read with timing problems (#1) and bass notes of some slash chords were enharmonically incorrect given the key signature of A major (#2). Fixing the slash chords was easy; just a matter of typing in C# in place of Db. Fixing the timing was a little harder. I played around with trying to adjust the notes in the bar but MuseScore seemed to be stubborn and I was inexperienced. It was far easier to simply insert a bar, enter correctly timed notes and then delete the faulty bar. Once I'd done that, copy and paste made it easy to correct similar bars by overwriting. Originally I printed my score using BIAB's notation editor. The reason I moved into MuseScore was because I didn't like the inconsistency in the way that BIAB notated slash chords. Some chords were normal and some had the bass note written in superscript style. For my own general purposes, this inconsistency doesn't bother me but because I wanted to make the music available on the web for this song, I wanted consistency. Overall, MuseScore impressed me a great deal - especially so since it's completely free. That being said, though, I'm still a huge fan of BIAB's notation editor. It's by far the easiest and fastest way of mouse-driven notating that I've come across. Once again, thank you for listening! Thank you for your time and your thoughts. I always appreciate hearing from you. That is so true about "Leslie" and "goosebumps"! That's exactly how it works for me. By the way, it must nearly be time for your (or your and Rob's) next song to appear *hint hint* I always look forward to hearing where your songwriting takes you. Kuddos to that, that is as long as you don't have to carry it. Excellent lyrics and the production music and video is outstanding, thanks for sharing! Thank you for giving up a bit of time and having a listen. I appreciate the positive feedback. For some reason this song feels (sounds) to me like it would me great in a musical, perfect opening number.... I liked it a lot, and I loved the chorus! I kind of grew up on musicals and I guess that nowadays when I right a song, the influence sometimes shows!!!! Thanks for listening and thanks, too, for the thumbs up! Appreciate it. All the best with your own work! Another very cool song. I love the overall feel and movement of this one. Great production and video as well.